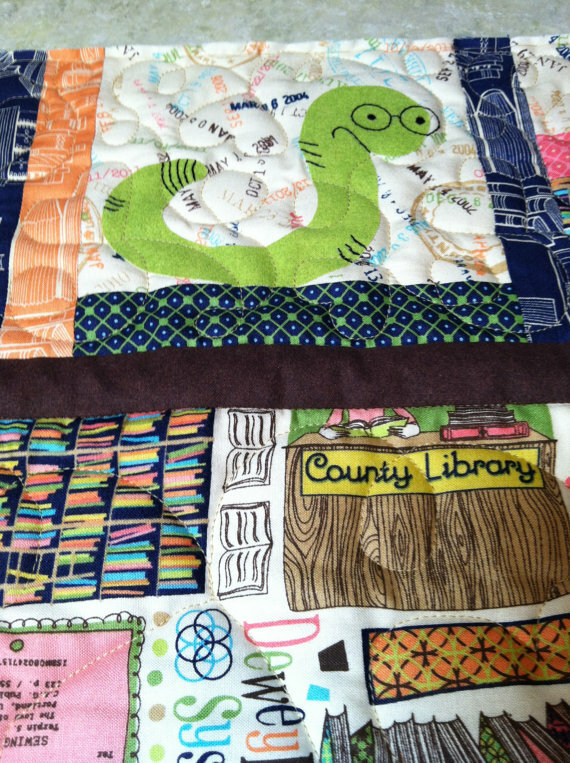 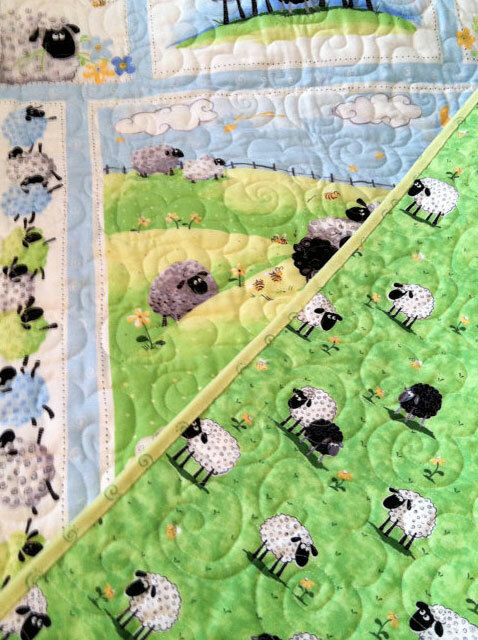 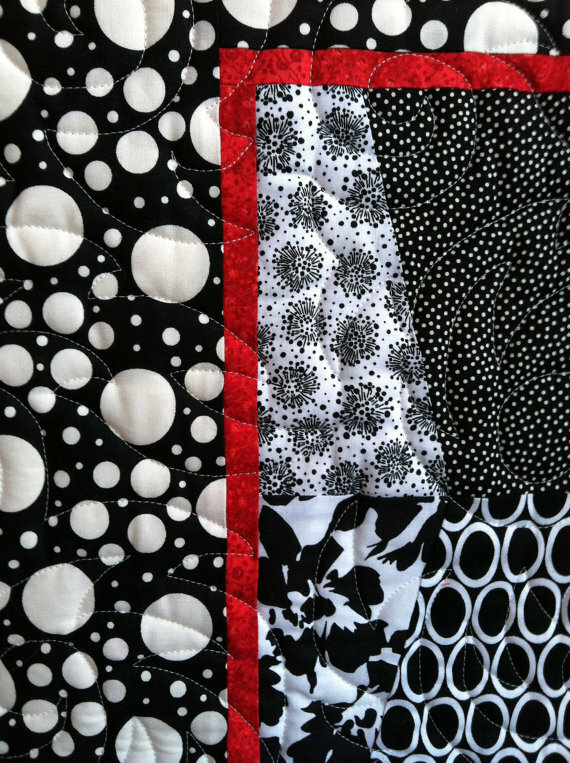 This quilt has a variety of colors set off with black for a dramatic look. 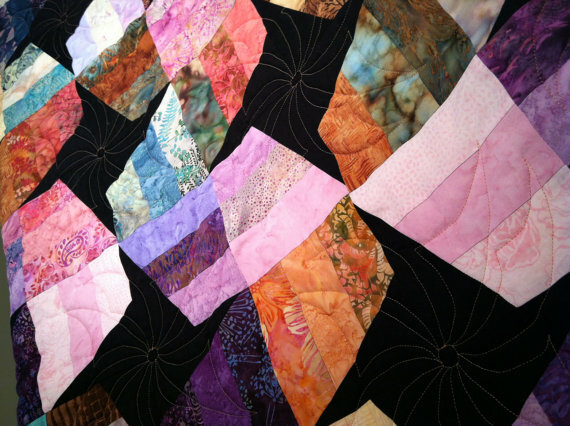 Great as a throw or wall hanging and measures 58″ x 70″. 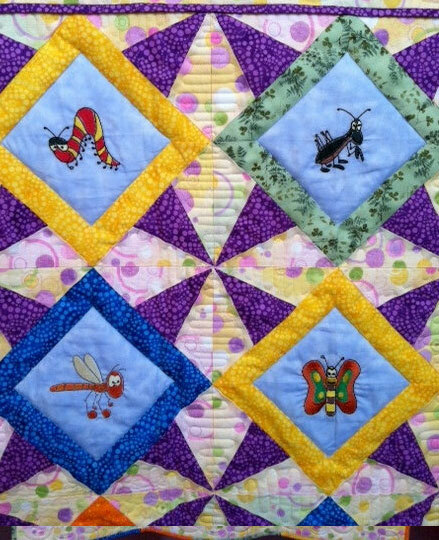 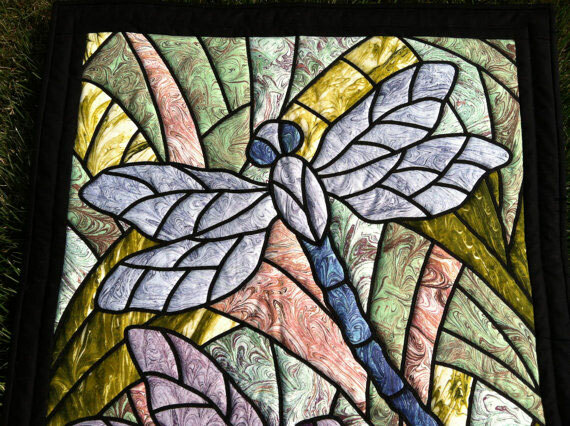 Stained glass dragonflies quilted wall hanging. 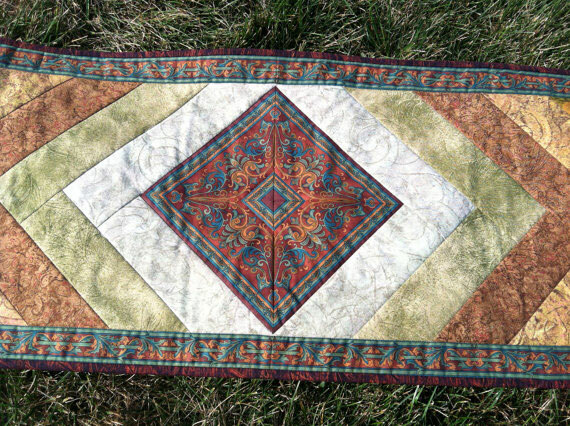 Measures 26 3/4″ wide x 40 1/2″ long. 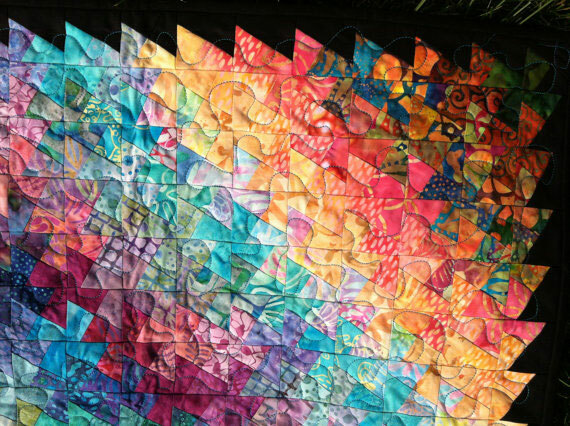 This would look stunning on a wall in your home or office. 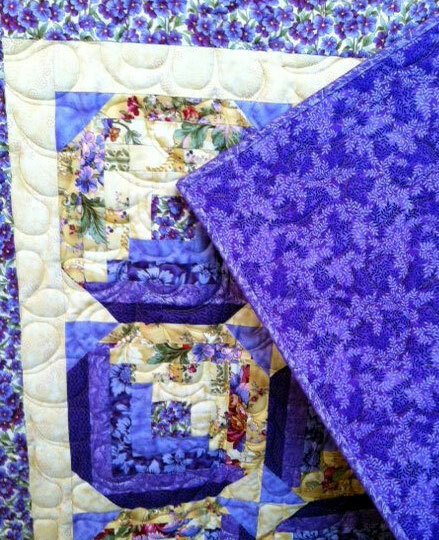 This purple and yellow toned log cabin quilt, measures 43″ x 43″ and would look great hanging on the wall or as a table topper. 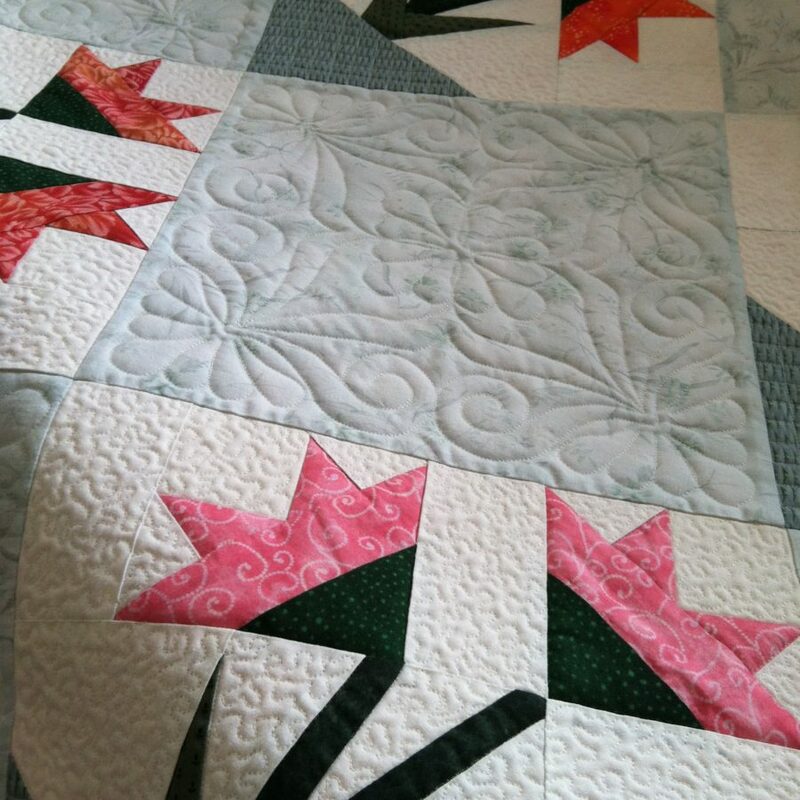 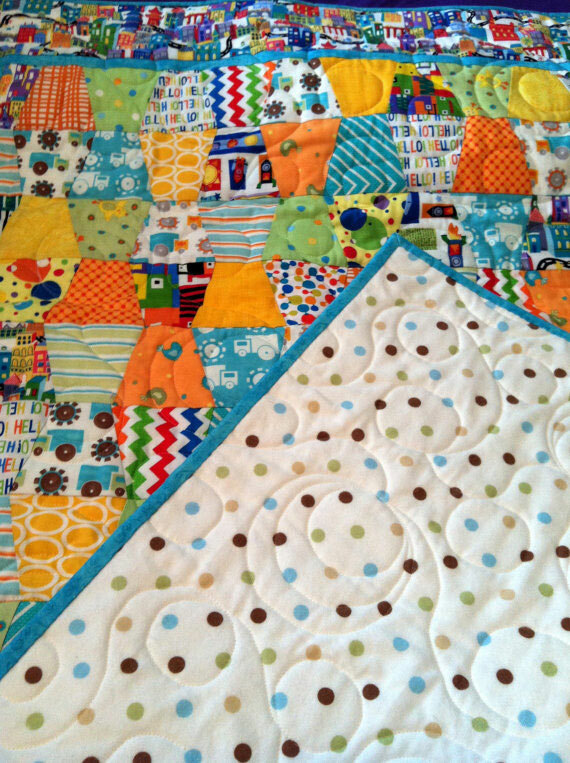 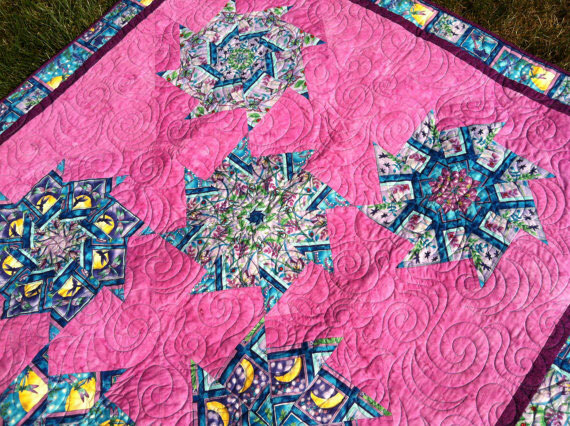 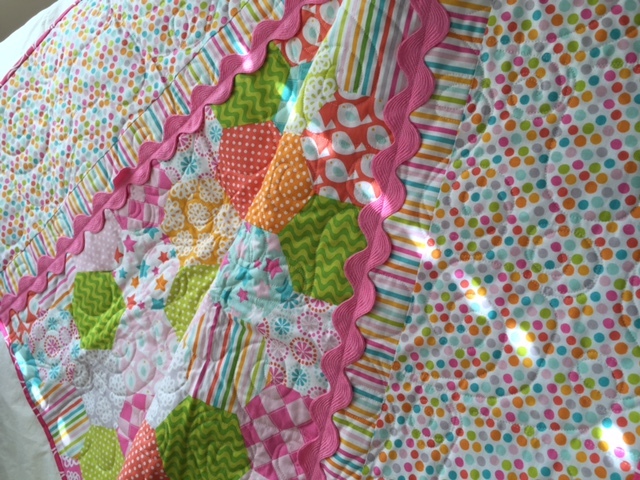 This brightly colored quilt measures 50″ x 70″ with kaleidoscope blocks. 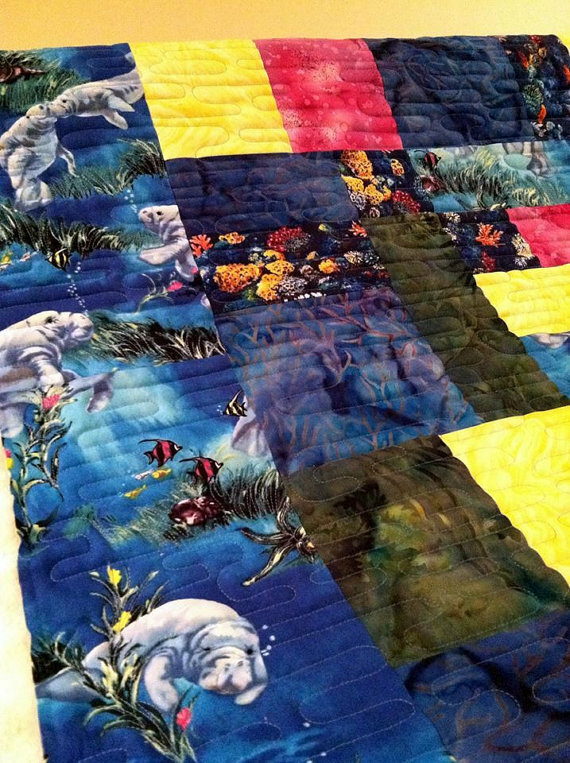 Go on an underwater adventure with this quilt, that measures 48″ x 58″.